Edward Scribner built this log cabin c.1891 on Mitchell Bay. In 1988 it was donated to the Historical Society, moved to the Museum grounds and restored to near original condition. 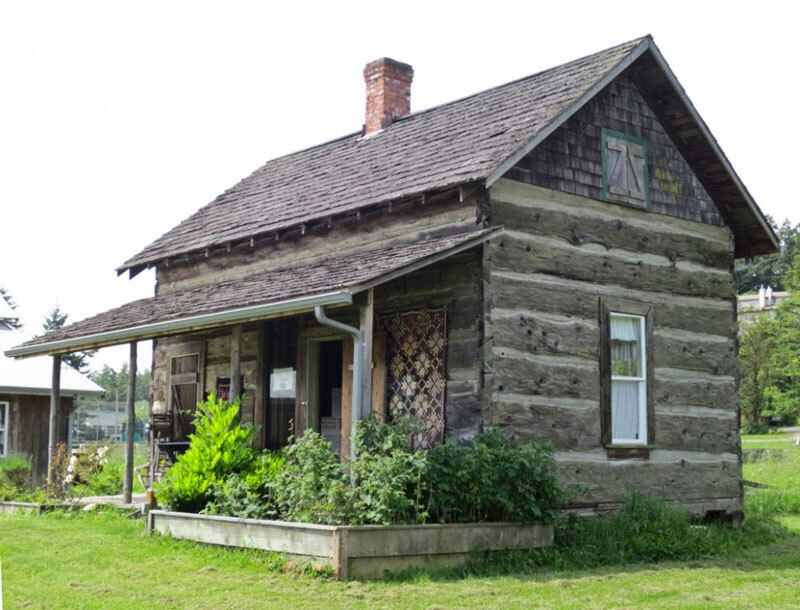 For specific times and details of all History Lives Here events in May, check out the online calendars of the San Juan Islands Visitors Bureau, The San Juan Island Library, Historic Friday Harbor, and the San Juan Historical Society & Museum. The San Juan Historical Museum will open May 17 for the season. Regular hours are Tuesday through Saturday, from 11:00 a.m. to 2:00 p.m. Visits at other times are welcome by appointment. Hear a story, tell a story!